All the theories set out in the preceding pages rest on a long series of experiments. The scientific or philosophical doctrine which has not experience for its basis is deprived of interest and constitutes only a literary dissertation without meaning. In the following pages I can only give a brief summary of the experiments published by me during the last 10 years. The memoirs in which they are described take up about 400 columns of the Revue Scientifique, and I could not dream of republishing them here. Some of them, such as those on phosphorescence, Hertzian waves, the infrared, etc., I have had to omit entirely. In all that follows I have especially endeavored to give very simple experiments, and consequently easy to repeat. Naturally, I do not recapitulate those which have already been described, when this could be done without going into too many technical details in the first part. Much of the apparatus and a great part of the methods described in the following pages have no longer more than an historical interest. Both the one and the other have been brought considerably nearer to perfection by the physicists who have entered upon the path I marked out. There is always use, however, in knowing the apparatus employed at the outset of new researches, and for this reason I have described without alteration the instruments and methods which I have used. I have explained in a former chapter the principles of the methods employed in studying the dissociation of matter — that is to say, its dematerialization. Before describing them in detail I will recall in a few lines what I have said. All the means employed for verifying the dissociation of a body, whether radium or any sort of metal, are identical. The characteristic phenomenon to be studied is always the emission of particles animated by an immense speed, deviable by a magnetic field, and capable of rendering the air a conductor of electricity. It is this last feature alone which was used to isolate radium. There are other accessory characteristics, such as photographic impressions and the production of phosphorescence and of fluorescence by the particles emitted, but they are of secondary importance. Besides, 99% of the emission from radium and the radioactive bodies is composed of particles without on the photographic plate, and there exist radioactive bodies, such as polonium, which only emit such radiations (1). The possibility of deviating these particles by a magnetic field constitutes the most important phenomenon next to the aptitude for rendering the air a conductor of electricity. It has enabled the identity between the particles emitted by radioactive bodies and the cathode rays of Crookes’ tube to be settled beyond dispute, and it is the degree of deviation of these particles by a magnetic field which has rendered the measurement of their speed possible. As the measurement of the magnetic deviation of radioactive particles requires very delicate and costly apparatus, it is impossible to include it among easily performed experiments. These last being the only ones I wish to give here, I shall confine myself to the fundamental property possessed by particles of dissociated matter of rendering the air a conductor of electricity. The classic process employed to prove that a body emits particles of dissociated atoms capable of rendering the air a conductor of electricity is exceedingly simple. It requires, in fact, no other instrument than a graduated electroscope. The substance X, supposed to be capable of dissociation, is placed on a plate A (Figure 36). Above it is arranged a plate of metal B connected with a charged electroscope C. If conducting particles — ions of electrons — are emitted by the body X, the air becomes a conductor between the two plates and the electroscope is discharged. The rate of fall of the leaves is proportionate to the intensity of the emission of the particles by the dissociation. 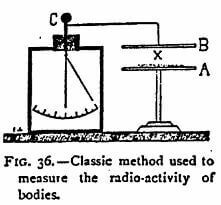 Or, the same results can be obtained by placing the bodies to be studied in a metal capsule placed directly on the electroscope. This is the means I generally employ. It must not be thought that the electroscope constitutes a rough and ready mode of examination incapable of yielding exact measurements. Rutherford, who, has studied it at great length, shows, on the contrary, that it is a very exact instrument, far superior, for most experiments, to the quadrant electrometer, and when well-constructed much more sensitive than the best galvanometer. The capacity c of a system with gold-leaf 4 cm long is, according to him, about one electrostatic unit. If we call v the fall of potential of the leaves in seconds t, the intensity of the current I through the gas is given by the formula 1- cv / t. In this way a current of 2 x 1015 amperes can be measured, which cannot be done with any galvanometer. 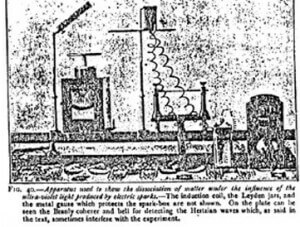 But, for ordinary experiments, such a degree of sensitiveness is absolutely useless, and in the majority of cases it suffices to use an electroscope surmounted by a plate above or on which, as the case may be, the matter to be experimented on is placed. It is only necessary, though this point is indispensable, that the dielectric through which the rod supporting the gold leaves passes, should be a perfect insulator. This last and very essential condition is, unfortunately, not realizable in any of the electroscopes manufactured in Paris. Only those of which the insulator is made with pure sulfur or amber are really serviceable. Supports made of paraffin, or of a mixture of sulfur and paraffin, do not long remain insulated, and the gold-leaf loses its charge. If forced to make sue of them, the insulator must be cleaned at least once a day with emery paper, an operation all the more necessary from the fact that the surface of the dielectric in time becomes charged with electricity. An electroscope can only be used for this kind of research when it does not give a loss greater than one angular degree in one hour after being covered with its cap. Instead of the classic two gold leaves, it is better to use only one with a rigid central strip of oxidized copper. The angular deflection of the gold-leaf is then very sensibly proportionate to the potential. With the electroscope I use, a deflection of the gold-leaf of 90° corresponds to a charge of 1300 volts, or of about 14 volts per angular degree. By various contrivances, which need not be described here, the electroscopes can be constructed so sensitive that one degree will represent one-tenth of a volt. To read the fall of the gold-leaves, the classic process of a microscope with a micrometer attached is not very convenient, especially in the case of rapid falls like those produced by light. It is much preferable to fix against one of the panes of glass forming the sides of the instrument a horn protractor, divided into degrees and backed with a sheet of rough white paper. To read the divisions, place a small lamp in the dark a few yards from the instrument. The gold-leaf throws the shadow of its extremity on the unglazed paper, and thus may be read to the quarter of a degree. To reduce the sometimes troublesome sensitiveness of the electroscope during experiments with radioactive bodies, it is only necessary to place a strip of metal at varying distances from the plate (Figure 37). It acts not only by its capacity but also by reducing the quantity of air on which the ions act. A radioactive substance which, for instance, produces 18° of discharge per minute only gives 12° if the strip be at 5 cm distant from the plate, and 8° if brought 2 cm closer. For certain delicate experiments it becomes necessary to use an apparatus I have invented and called a condensing differential electroscope, which may be thus described: Having noticed from various experiments that the effluves proceeding from dissociated matter traveled round obstacles, I was led to invent an apparatus to make this impossible. By its use I discovered that all bodies contain, as do radioactive substances, an “emanation” which is constantly reformed. In ordinary bodies it is only rapidly dissipated under the influence of heat, and takes several days to reform, as will be seen later in these researches. In Figure 38, A represents the ball of an electroscope mounted on a metallic rod, to the lower part of which are attached the gold leaves. This rod is supported by an insulating sulfur cylinder D. On this cylinder is placed an aluminum cylinder B, closed at the top. A second cylinder C, likewise of aluminum, covers the first. It forms a Faraday’s cage, and is only put in place after the electroscope has been charged. This cage is the only part of the system which must not be insulated, and this is prevented by connecting it with the earth by the chain F. Moreover, it is placed on the metallic part of the electroscope, a condition which, of itself, would prevent its electric insulation. One must make these aluminum cylinders. After procuring the thin sheet aluminum of commerce, it is cut to the height and width required and wrapped wound a wooden cylinder, and the two ends fastened together with a paper band coated with glue. The top of the cylinder is closed by a thin plate of tin, which is folded over and glued round it. It will be seen that the cylinder C constitutes a Faraday cage — a screen completely protected against all external electrical influence. 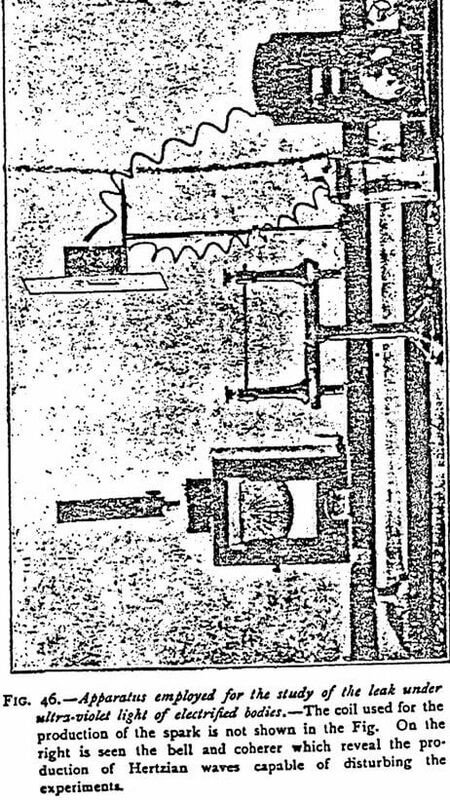 The leaves being charged and the large cylinder put in place, it is impossible to discharge the electroscope, even if a shower of sparks are made to fall on C.
The method of charging the instrument is as follows: Taking away the outer cylinder C and leaving the small cylinder B round the ball, the instrument is inductively charged by bringing a glass rod rubbed with silk to the cylinder B, which is then touched with the finger. It will be readily understood that in these conditions the cylinder B is charged negatively, the ball A positively, and the gold leaves negatively. The outer cylinder C is then put in its place and connected with the earth by a chain, an excess of precaution which is by no means indispensable. The whole system is then exposed to the influence one wishes to act on it. If the cylinder C be penetrated, the gold leaves draw together more or less rapidly. The instrument being charged as before, open the case of the electroscope and touch with a metal point the rod E bearing the gold leaves. They immediately fall. When the apparatus is immediately exposed to a radioactive influence — solar light, for instance — the leaves then separate several degrees. The mechanism of this charge is easy to understand. Let us suppose that the instrument has been charged by means of an ebonite rod rubbed with catskin. Naturally, it is not the light which produces the electricity capable of charging the instrument. Its action is indirect. By touching the gold leaves, they were deprived pf their positive charges, and therefore fall; but the negative charge of the ball, which is maintained by the positive electricity of the small cylinder, could not be annulled. When this small cylinder begins to discharge under the influence of the effluves passing through the large cylinder, it will no longer be able to maintain the same quantity of negative electricity on the ball. Part of the electricity contained in the latter will then flow into the leaves, which, on being charged with electricity of the same sign, will diverge. 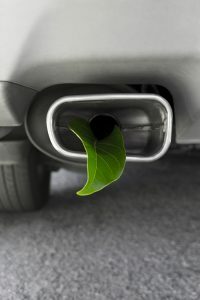 The more the small cylinder discharges, the more the leaves will separate. The ball and the cylinder form, in a way, the two pans of a very sensitive balance. The separation of the gold leaves registers the slightest difference in the weights of the two pans. It is by reason of this analogy that I have given it the name of condensing differential electroscope. Such are, in a general way, the instruments used in my researches. I shall use many others, but they will be described in the chapters devoted to the various experiments. 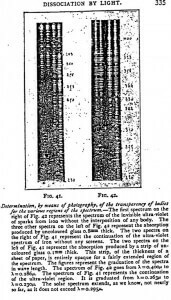 The bodies under study are arranged in strips, at an inclination of 45° above the plate of a charged electroscope (Figures 39 and 45), but without any direct connection with it. When these bodies are struck by solar light, they emit effluves which discharge the electroscope if this last is charged positively. But these effluves hardly have any action if the electroscope is negatively charged. For demonstration purposes it is only necessary to use a simple strip of aluminum or zinc, first rubbed with emery paper, and fixed in any way above the positively charged plate of the electroscope. For quantitative experiments I employed the apparatus represented in Figure 39, but it is well to avoid as much as possible the use of the heliostat and to throw the light directly onto the metal to be experimented on. With a heliostat, the charge is sensibly reduced in consequence of the absorption of the ultraviolet by the surface of the mirror. The glass, indeed, hardly refracts more than 5% of the ultraviolet rays. As to metals, their refracting power, very great in the infrared, diminishes considerably with the length of the waves. Polished silver, for instance, hardly refracts 15% of the incident ultraviolet radiations of the solar spectrum. At the beginning of the ultraviolet range (0.004 microns), on the contrary, it refracts nearly 80% of the rays. The electroscope may be charged by a dry battery or inductively by an ebonite rod rubbed with catskin. Care must be taken that the gold leaves are always brought to the same potential, and consequently separated by the same number of degrees from the vertical (20° in my experiments). The shadow of the leaves is thrown onto a plate of roughened glass divided into degrees, as seen in our figures. The instrument is lighted by a lamp placed 4 or 5 meters off in a dark place at the end of the room where the experiments are made. The sources of light employed were: (1) the sun for the radiations of which the spectrum extends to 0.295 microns; (2) for the radiations extending further into the ultraviolet, I took as a source of light the sparks of a condenser discharging between aluminum rods placed in a box closed by a plate of quartz covered with metal gauze, itself framed in a sheet of metal connected with the earth so as to be shut off from all electric influence (Figure 40). In order that the experiments may be compared, the bodies to be acted on by the light are all cut into strips 10 cm square, and placed at a distance of 15 cm from the electroscope. The ball of this latter is replaced by a large copper plate, which is indispensable for obtaining a rapid discharge. 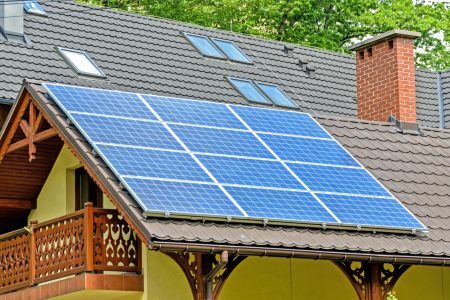 Copper is a metal but slightly sensitive to solar light but very sensitive to the electric light. It is, therefore, not necessary — though I did so — to shield this last from the action of light when operating in the sun; it is, on the contrary, indispensable to shield it from the luminous source when using the electric light. This is managed by the very simple arrangement shown in Figure 40. To separate the various regions of the spectrum and determine the action of each, we interpose between the light and the body it strikes several screens (quartz trough containing a transparent solution of quinine sulfate, glass 3 mm thick, glass 0.1 mm thick, mica 0.01 mm thick, rock salt, quartz, etc.) The transparency of these screens to the various rays of the sun is first determined by placing them before a spectrograph and noting, by means of the spectral rays photographed, the wavelength of the radiations which each transparent body allows to pass. 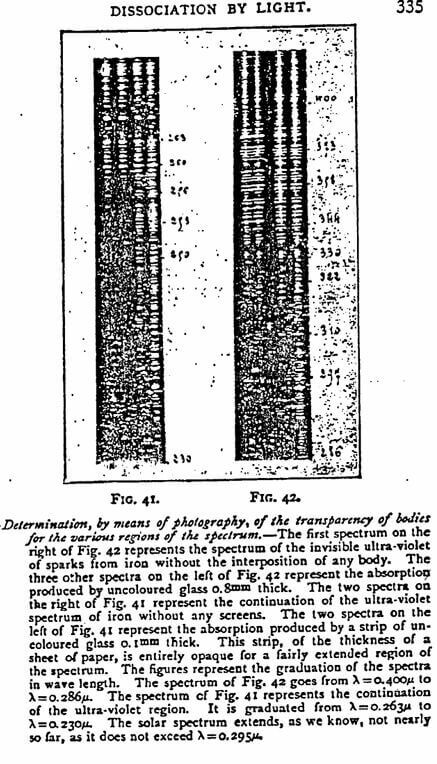 The spectra here represented (Figures 41 and 42) show the results of some of these photographs. Colored glass, green and red excepted, cannot be utilized, for they really keep back very little, and only serve tor educe the intensity of the effect. Speaking of absorption, I would remark that absorbent bodies seem divisible into two classes — namely specific absorbents and absorbents of intensity. By the first the spectrum is stopped dead in a particular region, whatever the exposure. The second sort, while being specific absorbents for certain regions, only act within a tolerably wide limit by reducing the intensity; the absorption in this case depends on the length of the exposure. Solutions of potassium bichromate or of quinine sulfate are specific absorbents; they only allow a particular region of the spectrum to pass, and this region is not prolonged whatever be the exposure. Uncolored glass exercises a specific absorption for certain regions, but throughout one relatively extended part it specially acts by reducing the intensity of the active rays — by partially absorbing them. This is why the impression is not clearly stopped at a fixed point. Specific absorbents are limited in number, while absorbents of intensity are innumerable. All colored glasses (red and dark green excepted) only reduce intensity. The evident proof of this is obtained by [photographing the solar spectrum through colored glass. By slightly lengthening the exposure through blue, yellow, violet and other glasses, the totality of the visible solar spectrum is obtained. This point is interesting to physiologists, for it shows that the various experiments made on animals and plants with solar light filtered through colored glasses prove absolutely nothing. The differences observed are due to causes quite different from those hitherto invoked to explain them. The following is a table of transparency of the different screens or liquids employed by me to isolate the various regions of the spectrum. In the region of the extreme ultraviolet of the spectrum I availed myself of the kindness of my learned friend M. Deslandres for the graduation of the wavelengths. The majority of bodies are sensitive, but in extremely different proportions. The action may vary, in fact, from 20° of discharge of the electroscope in 5 seconds down to only 1 degree per minute. Some bodies are therefore about 500 times less sensitive than others. The following is the order of sensitiveness of the bodies most sensitive to sunlight: amalgamated tin, amalgamated copper, aluminum recently cleaned, amalgamated silver, clean magnesium, clean zinc, amalgamated lead, mercury containing traces of tin. The least sensitive bodies, those giving only from 1° to 9° of discharge in a minute, are: Gold, silver, platinum, copper, cobalt, pure mercury, tin, cardboard, wood, phosphorescent sulfides, and organic substances. With bodies of feeble dissociation, such as those just mentioned, there is generally no effect observable except when the solar rays contain the region of the spectrum from M to U, a region which often disappears, even when the weather is very bright, as I will explain shortly. It is possible, by various devices, to render certain bodies sensitive for regions where they otherwise are not so. Mercury and tin, separately, are bodies with little sensitiveness. It suffices, however, to add to the mercury 1/1000 [?] of its weight in tin to render t very sensitive for the region of the ultraviolet comprised between 0.360 and 0.296 microns. Mercury thus prepared is an excellent reagent for the study of the ultraviolet according to the hour, the day, and the season. If the added quantity of tin amounts to 10%, the mercury becomes sensitive for nearly the whole remainder of the spectrum. (2) Bodies which become very Sensitive only to Radiations having Wavelengths less than 0.295 microns – Among these bodies I especially mention the following: cadmium, tin, silver, lead. (3) Bodies which are very Sensitive only to Radiations having Wavelengths less than 0.252 microns – These are the most numerous. 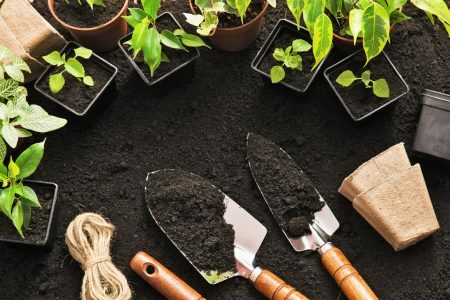 Among them may be mentioned the following: Gold, platinum, copper, iron, nickel, organic substances, and various compounds (sodium sulfates and phosphate, sodium chloride and ammonium chloride, etc.). After the metals, the most active bodies are lamp-black (20° of discharge per minute) and black paper. 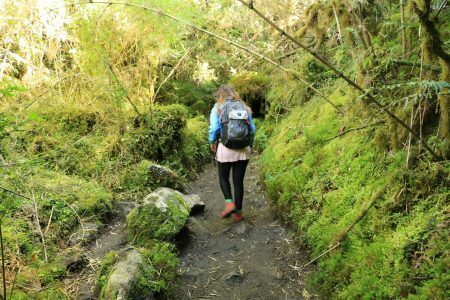 The least active are living organic bodies, especially leaves and plants. The various chemical compounds dissociate like simple bodies, under the influence of light, but in rather different proportions. Sodium phosphate and sulfate give 14° per minute, ammonium chloride 8°, sodium chloride 4°, etc. To verify the discharge, the bodies are made into a saturated solution that is poured onto a glass plate and evaporated. The glass plate is then placed in the ordinary manner over the electroscope. The variations of discharge which I have given are only of value for the particular regions of the spectrum which have been enumerated. In proportion as regions of higher refraction are employed, the sensitiveness of the various bodies differs less, and tends toward equality without, however, reaching that point. In the solar ultraviolet, gold, for instance, is almost inactive — about 500 times less active than aluminum. In the extreme ultraviolet of the electric light (starting from 0.252 microns it has, on the contrary, nearly the same rapidity of dissociation as this last metal. In this region of the ultraviolet, the difference of action between the least sensitive bodies (steel, platinum, and silver) and the most sensitive (amalgamated tin, for example) hardly varies more than from one to two. Moderate conductors — lamp black, chemical compounds, wood, etc. — have in this advanced region of the spectrum a sensitiveness lower than that of metals. The discharge produced by the effluves of lamp black, for instance, is much less than that of tin. 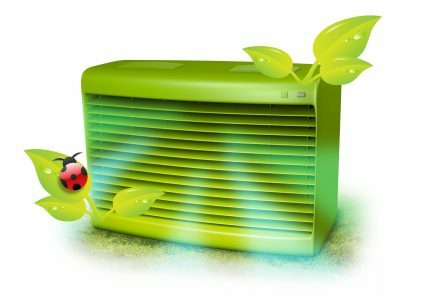 The action of cleaning is of the highest importance for the metals subjected to the radiations contained in the solar spectrum. They should be vigorously cleaned every 10 minutes with very fine emery cloth, under the penalty of seeing the discharge become 200 times less rapid. In the ultraviolet, starting from 0.252 microns, the influence of the cleaning is still manifest, but much less so than in solar light. 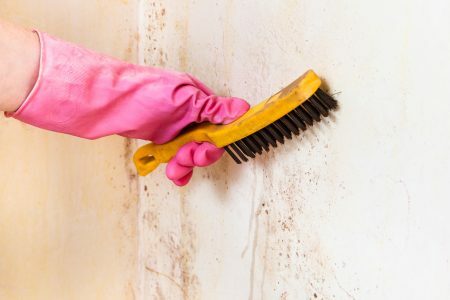 It will do if the surface has not remained uncleaned for more than about 10 days. After 10 days the discharge is hardly more than half what it is after recent cleaning. When, in order to obtain radiations extending much farther into the ultraviolet than those of the solar system, sparks from condensers (two Leyden jars placed in series on the secondary of an induction coil) are used, the intensity of the dissociation varies greatly with the nature of the metal of the electrodes. Aluminum points give a light producing a dissociation which, all things being equal, is nearly 3 times greater than that from gold points. Electrodes of copper and silver give about the same figures as gold electrodes. The first explanation which occurs to the mind is, that certain metals possess a more extended spectrum than others. But this explanation is nullified by recent measurements made by Eder, who has shown that the spectra of most metals extend to about the same distance into the ultraviolet. It is thus, for instance, that the spectrum of the sparks from gold, electrodes of which are the least active, extends quite as far (0.185 microns) as the spectrum from aluminum, electrodes of which are the most so. Nor does it mean that the differences of effect observed under the influence of the light produced by the sparks from various metals are due to differences of intensity of light. I find the proof of this in the fact that photographic paper prepared with silver chloride, when placed for 60 seconds before the quartz window which closes the spark-box, presents the same intensity of impression with all metals excepting steel electrodes, when it is more intense than with the sparks produced by aluminum, this being precisely the opposite to what occurs in the power of the dissociating action of their light. During these short exposures it is only radiations below 0.310 microns which act on the paper, as is proved by the fact that the interposition of thin glass selected so as to stop the radiations of a wavelength under 0.310 microns, also stops the impression. The preceding fact relative to the very great difference in electrodes according to the metals of which they are composed, would seem to prove that the spectrum of the various metals contains, in addition to light, a something with which we are not acquainted. When working with solar light it is very soon noticed that numerous factors may vary enormously the production of the effluves resulting from the dissociation of matter, and consequently the intensity of the discharge. I shall come back to this subject when treating of the so-called negative leak. 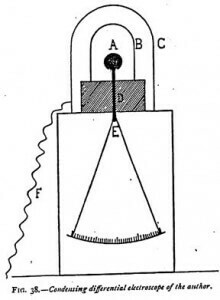 As soon as I had organized a series of regular observations, consisting of experiments with bodies having a constant action, I perceived that, when working for several days running at the same hour and in apparently identical weather, I suddenly observed considerable differences in the action of the electroscope. After having successively eliminated all intervening factors, I was left face to face with only one — the variation in the composition of the solar light. This was then only an hypothesis and had to be verified. As the variations were probably connected with the invisible parts of the spectrum, one single method of verification was at my disposal — the photography of this invisible region by the spectroscope. The only hint given in the textbooks was that the ultraviolet disappears as the sun approaches the horizon, which, however, the action of the electroscope ought to have sufficiently indicated. But as I was noticing variations in the effects at the same hours every day and at a time when the sun was very high, this hint explained nothing. 23 August 1901, 3:50 pm. Very fine weather, disappearance of the ultraviolet beginning with the M ray. 30 August 1901, 11 am. Very fine weather, disappearance of the uv beginning with L.
31 August 1901, 3 pm. Very hazy weather, sky entirely clouded, no disappearance of the uv. 26 October and 12 November 1901, 2 pm. Fine weather, disappearance of the uv beginning with M.
It will be seen from the above that if the eye, instead of being sensible to the radiations going from the A to the H rays, were sensible only to the radiations going from H to U, we should find ourselves, now and then, though in full sunshine, plunged into darkness. The ultraviolet possess, according to my experiments, so special and so energetic an action that it must be supposed to have an active part in the phenomena of nature. It is to be desired that regular researches should be instituted in observatories on its presence and its disappearance in the light. In conjunction with this, studies might be made on the variations of the infrared, for which I have shown there exists a reagent — zinc sulfide with green [copper] phosphorescence — as sensitive as silver gelatino-bromide is for visible light. The invisible spectrum has, it is well-known, a much greater extent than that of the visible spectrum. It is probable that its really very easy study might raise meteorology from the wholly rudimentary state in which it still is at the present day. I have always upheld the analogy of the effluves of dissociated matter as shown in the foregoing experiments with those emitted by spontaneously radioactive bodies. Lenard and Thomson have, since my researches, made this identity indisputable by demonstrating their derivation by a magnetic field and by measuring the ratio e / m between the charge of the particles and their mass. This ratio has been found to be identical with that observed with the cathode rays, and the particles of radioactive bodies. The condensation of water vapor by the particles of matter dissociated by the influence of light — which produces, as we know, cathode rays — has likewise been obtained by Lenard. The study of this photographic action caused me in the past a great loss of time; I abandoned it because, in reality, by reason of its irregularity, it does not constitute a process of measurement, while the electroscope affords a precise one. I will only say that when a sensitized glass plate, enclosed in an envelope of black paper and covered by some object or other, is exposed — well-protected from all light — to the effluves of a metal struck by the sun, there will be obtained, after 15 minutes exposure, the outline of the object placed on the black paper. With metals exposed directly to the sun the impression on the photographic plate is sometimes intense, sometimes nil, and is too uncertain, in short, to provide a scientific means of investigation. I have always observed, besides, that after a certain exposure t the sun, a metal generally loses the property of giving a photographic image, even when a sensitized plate is exposed in the dark, directly on the surface of the insolated metal, instead of being placed beneath it. This phenomenon occurs, as I shall show later, through the metal exhausting rapidly, under the influence of slight heat, the provision of radioactive emanation it contains, which is only formed again very slowly. 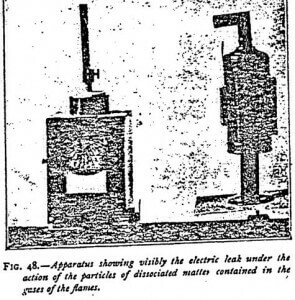 A strip of aluminum of which the face is intentionally well oxidized to render it inactive, and the other face cleaned with emery paper is placed above the electroscope (Figure 47), so that the cleaned face shall alone be struck by the light and shall project effluves onto the plate of the electroscope. The discharge of the instrument corresponds under these conditions to 20° in 15 seconds. The strip of metal is then turned around so that it is the oxidized face which faces the electroscope, and the cleaned face is towards the sun. The effluves produced can then only act on the electroscope by passing round the strip. Now, the discharge is still 5° in 15 seconds. Without changing anything in the above experiment, a band of black paper 2 cm in width is gummed onto the borders of the non-oxidized face towards the sun. The band prevents the passing round of the particles, and the discharge of the electroscope ceases. Metals struck by light for the most part retain a small residual charge, which allows them to slightly discharge the electroscope in the dark for a few minutes. It therefore suffices to expose to the sun a cleaned piece of metal, and to place it in the dark above the electroscope, for a slight discharge to be produced for a few moments. The mechanism of the discharge of bodies electrified by the effluves of dissociated matter by light, by the gases of flames, by the emanations of radioactive bodies, or by the cathode rays, is always the same. All of them act by rendering the air a conductor. Figure 44 and the explanation makes the mechanism of their action plain. Do the particles of dissociated matter pass through material objects? We know that this is the case with the beta rays of radium, but not with the alpha rays which form 99% of the emission and are stopped by a thin sheet of paper. How do matters stand with the particles of bodies dissociated by light? It appears easy, at first sight, to verify the phenomenon of transparency. As we possess a reagent sensitive to certain radiations, the body of which we wish to test the transparency. If the effect be produced through the object, we shall say the body has been transpierced. 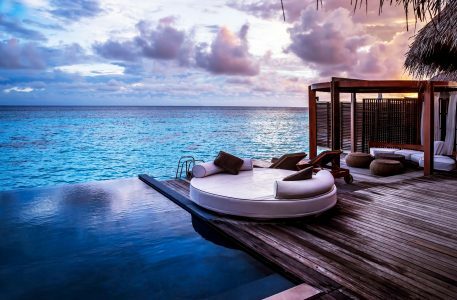 Nothing is more simple in appearance, and nothing more erroneous in reality. It sometimes happens, in fact, that a body appears to have been transpierced when this has not been at all the case. It may have simply had its flank turned, which is exactly what happens in the case of very diffusible bodies, as was shown in the last paragraph, or as happens in the case of radiations with great wavelength — the Hertzian waves, for instance. It is this apparent transparency which formerly deceived physicists as to the supposed transparency of conducting and insulating bodies to electric waves. This transparency was admitted till the researches I carried out with Branly proved that mountains and houses were passed by going round and not through them, and that if metals seemed to be transpierced, it was because the Hertzian waves passed through the cracks of the boxes which seemed to be hermetically closed — and, in fact, were so to light. The apparent transparency may also be the consequence of the fact that when one face of a body is struck by a radiation there is produced, by a kind of induction, an identical radiation on that part of the other face which corresponds to the point struck. 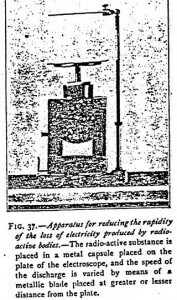 J. J. Thomson has maintained that this was precisely the case with the cathode rays, and Villard believes it to be the case with metals which are acted on by the radiations of radium. The photographic impression through a metal would be the simple consequence of a secondary emission on the posterior face of the strip opposite to the point struck. We have a rough example of what happens in these various cases by taking, for instance, the propagation of sound. A person shut up within a completely closed metal chamber will hear very clearly all the musical instruments played outside that chamber. The vibrations of the air which produce the sound appear thus to pass through the metal. 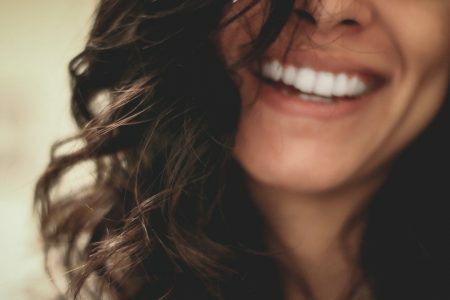 We know, however, that it is not so, and that the air which strikes the metal walls of the faces of the metal are propagated to the other face, which in run causes the air in contact with it to vibrate. The vibrations seem thus to have passed through the metal, which, notwithstanding, is absolutely opaque to the air. A like reasoning, however, may perhaps be applied to all forms of the transparency of bodies. We might even include the case of transparency to light, could this hypothesis be easily reconciled with the phenomena of aberration. However this may be, the complete solution of the problem of transparency is difficult, and the single fact that eminent physicists have been unable to agree on the transparency of bodies for the cathode rays and for the emanations of radioactive bodies is sufficient to show the difficulties of the question. All we can say about an apparently transparent body is that things occur exactly as if it were transparent. In the case of the effluves from matter dissociated by light, the problem is further complicated by the extreme diffusion of these effluves, which enables them, as we have seen, to go round objects. To simply interpose a strip of metal between the effluves and the electroscope would lead to erroneous results. It would have to be of excessively large dimensions, which would not be very workable. To prove the transparency — or, if it be preferred, the equivalent of transparency — it is necessary that the body one wishes to work with should be surrounded by an enclosure shut up on all sides. This I was able to obtain by means of my condensing differential electroscope, thanks to which it has been possible to study the transparency of bodies for the effluves emitted by light, by radioactive bodies, by the gas of flames, by chemicals reactions, etc. Its use has permitted us to verify transparency, but in further studying the phenomenon, I was led to recognize, as will be detailed later on, that all bodies contain an emanation similar to that belonging to spontaneously radioactive bodies, which appears to be the cause of the actions observed. All the experiments described above are extremely easy of repetition when made with the sun. There are only two precautions to be observed in this case. The first is to clean vigorously with emery cloth every 10 minutes the metal operated on, an operation not required when using the ultraviolet rays obtained by means of electric sparks; the second consists in replacing the ordinary knob of the electroscope, with which the charge is insignificant, by a copper plate about 10 cm in diameter. It is quite unnecessary to clean this latter. The importance of a large receiving surface is paramount, and it is because many observers have neglected this essential point that they have been unable to repeat my former experiments. When we have to do with very refrangible radiations, which do not exist in the solar spectrum at our altitudes, and can only be produced by means of electric sparks, the experiments become much more delicate; and if certain precautions are not taken, we are exposed to the causes of error I now point out. The most important consists in the action of electric influences capable of discharging the electroscope. Doubtless it suffices to hide the light of the sparks with black paper to be able to see if all discharges are suppressed, which is not the case when electrical influences supervene. But when one notices that these last are produced, it is not always an easy matter to suppress them. The means generally employed to eliminate them consists in covering the quartz window of the spark-box with fine transparent wire gauze let into a frame made of a large strip of metal and connected with the earth, but this means is not always sufficient. Invariably examining after each experiment whether the action on the electroscope ceased when the light was covered up with black paper, several times I perceived rapid discharges due to electrical influences. As they did not act equally on both the positive and the negative electricity with which the electroscope was charged, but only on one of them, I conceived the idea of getting rid of them by connecting with the earth, without any change in the rest of the arrangements, one or other of the coatings of the Leyden jars employed according to the direction of the discharge observed. This means always succeeded. What is the origin of the electrical influences which are formed round the sparks of the electrodes, and of which physicists have often pointed out the existence and the effects without ever attempting to determine their nature? Not being able to find any hints on the subject, I was led to inquire of what they consisted. They are simply very small Hertzian waves. It was difficult to anticipate this, for they were not supposed to be produced by discharges between points. Their existence is proved, either by the illumination at a distance of a Geissler tube (which necessitates working in the dark) or, better, by using a coherer in circuit with an easily working bell and a battery. 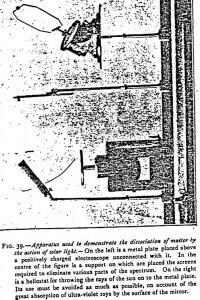 This apparatus, which may remain fixed, immediately reveals to the ear, by the ringing of the bell, the formation of any Hertzian waves which may interfere with the experiments. Hertzian waves manifest themselves when the spark-box is not carefully insulated from its support by a coating of paraffin. They also manifest themselves when the electrodes are too far apart, and especially when their points are blunted, which happens when they have been working for some time. The Hertzian waves which then form are very small and are hardly propelled farther than 50 to 60 cm, but they are sufficient to disturb the experiments. They disappear as soon as the extremities of the electrodes have been filed to very sharp points. There exist other causes of the production of Hertzian waves in these experiments, but to enumerate them would carry us too far. With the arrangement I have described and figured in the plates, the operator will always be warned of their presence. Among the causes of error which I must point out, there is one which has never, to my knowledge, been mentioned anywhere, and is of considerable importance. I refer to the superficial alteration of a strip of quartz exposed for less than a quarter of an hour to the sparks of the electrodes. It becomes covered with an almost invisible layer of particles of dust which suffice to render it opaque to the ultraviolet rays inferior to 0.250 microns. When quartz thus altered is used, it is as if use were made of a strip of thin glass, opaque, as we know, to the extreme ultraviolet, and all the effects observed are falsified. This cause of error, which occasioned me much loss of time, is very easy to avoid, since it is sufficient to wipe the quartz with fine linen clothe every 10 or 15 minutes. All these causes of error may also have an influence on the so-called negative leak which we shall shortly study. We have already interpreted the experiments set forth in this chapter, and shall simply recall the fact that all the products of the dissociation of bodies by light are identical with those obtained from radioactive substances. There is the same deviation of the particles by a magnetic field, the same ration e / m of the mass to the electric charge, etc. “When a luminous ray falls on the surface of a metallic mirror, the ions vibrate in unison with part or the whole of the radiations striking it. Therefore, during the action of this radiation, a superficial pellicule of infinitesimal thickness vibrates with the frequency of certain oscillations of the source itself. In the case of luminous and ultraviolet radiations, this surface actually corresponds to an excessive temperature imperceptible to the touch, because, its thickness being very slight, the quantity of heat confined in this pellicule is entirely negligible. “Now, if this is so, the metallic surface, subjected to a luminous and, more especially, to an ultraviolet radiation, will be traversed in all direction by currents which we shall term high-frequency currents. “The ions will be subjected to such repellant actions that they will jump. Thenceforth the surrounding space will be subject to ionic projections, or radiations, similar to those noticed in vacuum tubes. “Such is the interpretation of the fundamental fact discovered for the first time by Gustave Le Bon, which will be found at the basis of this new chapter in physics. This physicist thenceforth supposed that this manifestation belonged to an order of natural phenomena that is absolutely general. It was this idea, much more than the admirable experiment of Roentgen, which decided me to take up the study of electric phenomena”. 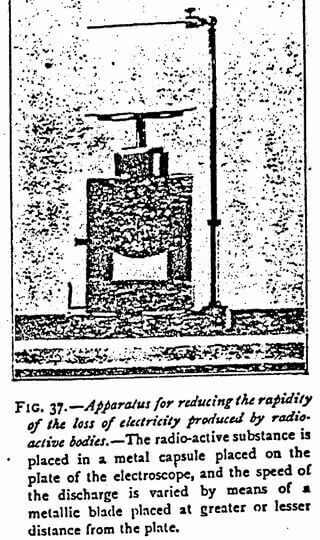 Chapter IV: Experiments on the Possibility of Rendering Bodies Radioactive which are not so; Comparison Between Spontaneous and Provoked Radioactivity. (3) That the discharge only takes pace when the charge of the metal is negative and not positive. Elster, Geitel, and Branly, it is true, mentioned some time ago two or three metals which discharged in ordinary sunlight, and the last-named cited several bodies which show the positive leak; but these phenomena were considered as exceptional and as in no wise possessing a general character. As the subject did not appear to me exhausted, I deemed it well to take it up anew. Although there is a certain difference between the phenomena of the discharge of a body already electrified and that of the production of effluves emanating from an unelectrified body and capable of acting on an electrified one as shown in the previous chapter, yet the two phenomena have the same cause — namely, the dissociation of matter by light. No experimenter had suspected this cause before my researches. The experiments I am going to set forth prove — (1) that the so-called negative leak is also, though generally in a lesser degree, positive; (2) that the discharge takes place under the influence of the various regions of the spectrum, although the maximum occurs in the ultraviolet; (3) that the discharge is extremely different in the various bodies, the metals especially. These are, as will be seen, three propositions exactly contrary to those generally received and recapitulated above, Now for the justification of them. 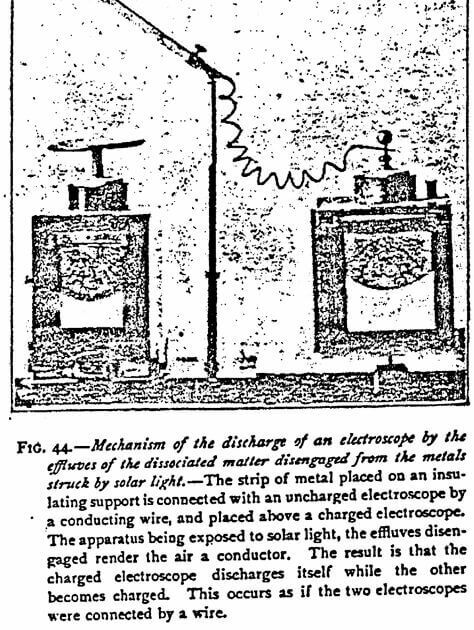 For studying the negative leak in solar light the method of observation is quite simple, since we have only to place the body, the discharge of which is to be observed, on the plate of the electroscope, and it charges itself at the same time as the latter. This charge is given by influence either by a glass or an ebonite rod, according to the sign of the charge desired. Care must be taken that the gold leaves are the same distance apart in all cases. When it is desired to study the discharge produced by the ultraviolet rays beyond the solar spectrum, recourse must be had to the special arrangement shown in Figure 46. The bodies to be studied are fixed in a clamp replacing the ball of the electroscope. They become charged with electricity at the same time as the latter. The light is supplied by aluminum electrodes connected with the coatings of a condenser kept charged by an induction coil giving sparks of about 20 cm. The electrodes are placed in a box with a quartz window covered over with wire gauze framed in a sheet of metal and earthed. The distance at which the electrified body is placed from the source of light plays, at least for very refrangible rays, a most important part, and it is useful to mount the electroscope, as I did, on a graduated bar which allows its distance from the source of light to be regulated. When one wishes to separate the various rays of the spectrum, one works, as I said before, by means of various screens interposed between the source of light and the electroscope, and the transparency of the screens is determined by the spectrograph. When the experiments are made in the sun, the plates of metal must be very frequently cleaned with emery cloth (every 10 minutes at least), but as we advance into the ultraviolet this cleaning becomes of less importance. It needs be cleaned only once every two or three days. With so long an interval when operating in the sun, the discharge would not be entirely suppressed, but would become more than a hundred times less. For the light from electric sparks, the omission of the cleaning only reduces the discharge by a half or two-thirds. I have, however, succeeded in forming alloys requiring, for experiments in the sun, no cleaning and preserving their properties for about a fortnight, with the simple precaution of passing a finger on their surface, from time to time, in order to clear away the dust or the slight layer of oxide that may have formed. The best are strips of amalgamated tin prepared as directed in a former paragraph. The following table shows the rate of discharge in light of a strip of metal 10 cm square placed on the plate of the electroscope. This rapidity is calculated from the time necessary to produce a discharge of 10°, the maximum of rapidity being represented by 1000. All these bodies discharge themselves when charged positively, but in the light of the sun the leak is throughout very weak (1 degree at most in 1 or 2 minutes). It increases greatly when the light of the sun is replaced by the light from electric sparks, but its maximum is no way produces, as is the case with the negative leak, by the radiations of the end of the spectrum. The fact is proved by this very simple experiment. A thin strip of glass one-tenth of a millimeter thick which considerably retards the negative leak in many cases when placed before the source of light, has only a very feeble diminishing action on the positive leak. The radiations which produce the negative leak are, therefore, not the same as those producing the positive leak. The discharge of the electroscope varies from 16° /minute in the case of nickel, zinc, and silver to 7° in that of steel. There is, therefore, no question of an insignificant discharge, but of a really very important one. The above figures represent the leak produced by the totality of the luminous radiations given by the sparks proceeding from aluminum electrodes. From the foregoing we may conclude that all electrified bodies exposed to the ultraviolet light are subject to a negative or positive leak without any other difference than that of intensity. Far from being identical in all bodies, as was asserted up to the present, this leak varies considerably according to the bodies employed. The rapidity of the discharge of divers bodies varies greatly with the several regions of the spectrum, as may be gathered from the hints in a preceding paragraph. Some, such as aluminum, zinc, etc. are sensitive to the regions of the visible solar spectrum; others, to the extreme region of the ultraviolet of the electric spectrum; which is why a simple plate of glass, one-tenth cm thick, placed before the quartz window of the spark-box stops all discharges for the nickel series, but stops only a part of the discharge produced by the other. The figures given above show that there is a predominance of the negative leak over the positive for good constructing bodes — that is to say, metals. It is otherwise with bad conductors such as wood, cardboard, paper, etc. For these latter the positive discharge, as pointed out by Branly, may become equal to the negative discharge, and even exceed it. But we must here take account of two sources of error which appear to have escaped former observers. The first, already mentioned, is the state of the quartz. If not cleaned every 10 minutes it absorbs the extreme region of the ultraviolet, and as this absorption does not prevent the positive leak produced by less refrangible regions, the negative discharge will be diminished, and consequently may appear the same as or less than the positive leak. Such would be the case with a metal much oxidized or covered by a greasy body which is sensitive only to the extreme regions of the ultraviolet. The second cause of error is the considerable influence of distance. The most extreme regions of the spectrum are most active on the negative discharge, while they have a rather weak action of the positive. Being absorbed by the air in an increasing degree as its density increases, it follows that their effect on the negative discharge becomes slower as the distance from the source of light is increased. Thus, at 25 cm from the spark, the positive discharge of wood will be double the negative discharge; at 8 cm it is the other way: the negative leak will then be four times greater than the positive. The paramount importance of distance in these experiments is therefore obvious. To this should be added that at a short distance the dissociation of gases of the air begins to manifest itself — a matter I will go into later. Substance – Neg. Discharge in 1 Min. – Pos Disch. In 1 Min. It will be seen that for several of the bodies on which the experiments were made, the positive discharge was markedly superior to the negative discharge. The rays which produce the negative discharge on these various bodies have a wavelength under 0.252 microns, and it suffices to suppress them from the spectrum for the negative charge to be likewise suppressed. The sensitiveness of black bodies, especially lamp-black spread on a strip of cardboard, is considerable. I have obtained 61° of negative discharge/minute at a distance of 25 cm from the spark, but at 10 cm, it rises to figures which would represent 300° for the same length of time (figures approaching the sensibility of the most sensitive metals). With the same variations in distance, the positive leak only increases from 7° to 12°. Electrode Substance – Neg. Discharge in 1 Min. – Pos Disch. In 1 Min. According to the electrodes used, the negative discharge may, it will be seen, vary from single to double, and the positive discharge from single to triple. I have already shown that this phenomenon is not due to the length of the spectrum of the metals, since that of gold goes as far as that of aluminum. 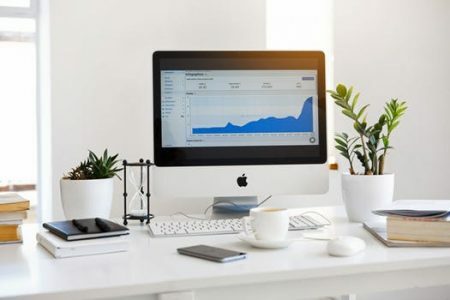 By comparing the various tables published in this work, it will be seen that the leak produced by solar light is far different from that resulting from the action of electric light. This is due solely to the fact that the spectrum of the light from electric sparks is much further extended into the ultraviolet than that of the solar light. It is easy to give to the electric spectrum properties identical with those of the solar spectrum, y arresting in the former case the rays which do not exist in the latter. All that is required for this, is to replace the quartz in front of the sparks by a glass plate 0.8 m. thick. This stops all radiations which do not occur in the solar spectrum — those exceeding 0.295 microns. It is then noticed that metals which, like copper, produce a very rapid discharge in the electric light and hardly any in the sun, become insensible to the electric light, while metals like aluminum, which produce a discharge in the sun, continue to produce it in the electric light. Several causes, in addition to those mentioned already, also cause the leak of electricity to vary under the action of light, notably of that of the sun. As in order to study these variations a body with a constant sensitiveness was required, I made use of plates of amalgamated tin as before mentioned. This substance is extremely active, but only attains its maximum of intensity after an exposure of some minutes to the light, a fact precisely contrary to what is observed in various metals, especially aluminum and zinc. The best of all bodies with a constant sensitiveness, if its manipulation were not so inconvenient, is mercury containing a small proportion of tin. With 1/1000 [1/5000 ? 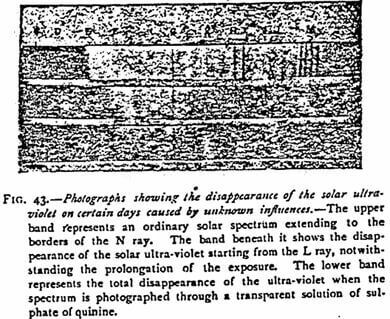 — illegible fine print in text] of its weight in tin, as I have said, only sensitive to the advanced regions of the solar ultraviolet, beyond about the ray M. By increasing the proportion of tin to 1 percent, it becomes sensitive for a far more extended region of the spectrum. Continuous researches for 18 months with plates of amalgamated tin proved to me that the sensitiveness of metals to light — the time taken by them to lose the electric charge they have received — varied not only with the hour of the day, but also with the season. The figures I first gave several years ago, having been taken in winter and very cold weather, were too low. The discharge is always less rapid in winter than in the summer, but during the same day it may vary in the proportion of 1 to 4. It diminishes rapidly as the hours progress. For instance, on 9 August 1901 the discharge, which at 4:30 pm was 50 degrees per minute, fell to 16° at 5:50. On the 24 August 1901, the discharge, which was 80°/minute at 3:25 pm, fell to 40° at 4:30 pm. For several days I followed, hour by hour, the variations of the leak, and drew up tables of them. There would be no interest in publishing them, for the differences do not depend on the hours, but mainly on the variations of the solar ultraviolet, which often disappears in part (from M, and even from L) under the influence, as I have already stated, of causes totally unknown. Clouds do not sensibly reduce the discharge, which remains about the same as in the shade. Nor does their presence noticeably reduce the solar ultraviolet, which I have been able to photograph through fairly thick clouds. We have just seen that all bodies, simple or compound, conductors or insulators, subjected to the action of light undergo dissociation. But among none of the bodies examined up to now do gases appear. Are we to suppose that they escape the common law? This exception seemed improbable. Yet up to Lenard’s last researches the dissociation of gases by the action of light had not been observed. 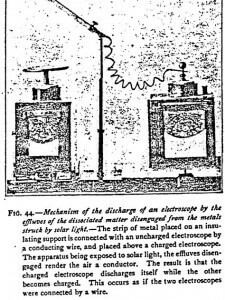 No doubt it was supposed that the discharge of electrified bodies, when struck by light, might be due to the action of the luminous rays in the air, but this hypothesis fell to the ground in face of these two facts — first, that the discharge varies according to the metals, which would not be the fact if it were the air and not the metal which was acting; and second, that the discharge takes place still more rapidly in a vacuum than in the air. The reason of this apparent indifference of gases, air especially, to the light which strikes them is very simple. Some metals are dissociable only in a very advanced region of the ultraviolet. If gases should happen to be dissociable only in still more advanced regions, the observation of their dissociation must be difficult, seeing that the air with slight density is as opaque as lead for the radiations of the extreme ultraviolet. Now, as Lenard has shown (Annalen der Physik, Bd. 1, 1900), it is solely inthis extreme region of the ultraviolet that what was then called the ionization of gases, which is no other than their dissociation, is possible. He saw that it sufficed to bring the bodies under experiment to within a dew centimeters from the source of light — from the electric spark — for the discharge to be the same for all bodies, which shows that it is then the air which becomes the conductor and acts. It is light, and no other cause, which intervenes, for the interposition of thin glass stops all effect. By a special arrangement, which there would be no advantage in describing here, Lenard has measured the wavelength of the radiations which produce the ionization of the air. They begin towards 0.180 microns, just at the limits of the electric spectrum as formerly known (0.185 microns), and extend as far as 0.140 microns. The discovery of these short radiations is, as is known, due to Schuman. By creating a vacuum in a spectrograph, he proved that the ultraviolet spectrum, which, from the incorrect measurements of Cornu and Mascart, were believed to be limited to 0.185 microns, in reality extended much farther. He ahs succeeded in photographing rays reaching as far as 0.100microns. It is probably the absorption exercised by the gelatin of the sensitive plates, and no doubt also by the material of the prism, which prevents further progress. As we advance into the ultraviolet spectrum, all bodies, the air especially, become more and more opaque to the radiations. It would therefore be very surprising if the x-rays, which pass through all bodies, were constituted by the extreme ultraviolet, as some physicists have maintained. Most bodies, including air of a thickness of 2 cm, and water 1 mm thick, are, in fact, absolutely opaque for these radiations of very short wavelength. There are hardly any transparent to them except quartz, fluorspar, gypsum, and rock salt, and even these only on condition of their surface not being roughened. Pure hydrogen is equally transparent. The extremely refrangible radiations of light therefore dissociate, not only all solid bodies, but also the particles of the air they pass through, while radiations less refrangible possess no action on gases, and only dissociate the surface of the solid bodies they strike. These are two very different effects which may be superposed on each other, but which will not be confused if it be borne in mind that when it is the air that is decomposed, the nature of the metal struck and the state of its surface are points of no importance; while the leak varies considerably with the metal when it is the latter that becomes dissociated. Besides, the influence of the extreme ultraviolet can be almost entirely avoided by removing the source of light to a little distance, since a layer of air of 2 cm suffices to stop this region of the spectrum. If, therefore, the sparks from the electrodes are at several centimeters from the quartz window of the spark-box, no effect due to the decomposition of the air can be produced. In comparing some of the experiments set forth so far, it will be noticed that those bodies which absorb most light are precisely those which are the most dissociable. For example, air, which absorbs the radiations below 0.185 microns, is decomposed by these radiations. Lamp-black, which completely absorbs light, is energetically dissociated by it, and disengages effluves in abundance. This explanation does not appear at first sight at all to tally with the fact that metals which have recently received a mirror polish are likewise the seat of an extremely abundant disengagement of effluves. The objection vanishes, however, when it is considered that polished metals which reflect visible light very well reflect very badly the invisible light of the ultraviolet extremity of the spectrum, and absorb the greater part of it. Now, it is precisely these absorbable and invisible radiations which produce most effect. To give a clear idea of the properties of the various pars of the ultraviolet spectrum, I will put them in tabular form. It shows that the aptness of light to dissociate bodies increases with every step into the ultraviolet. 0.400 – 0.344 microns — These radiations pass through ordinary glass. They can only dissociate a small number of metals, and even then only if they have been recently cleaned. 0.344 – 0.295 microns — The uv of this region only passes through glass not thicker than 0.8 mm. After 0.295, it is completely absorbed by the atmosphere, and consequently plays no part in the solar spectrum. This region, though much more active than the preceding one, has still only a rather weak dissociating activity on most bodies. 0.295 – 0.252 microns — The uv of this region is not met with in the solar but only in the electric spectrum. It can only pass through glass plates not exceeding 0.1 mm thickness. Its dissociation action is much more intense and more general than that of the preceding region of the spectrum, but much less than that of the following region. It dissociates all solid bodies, but has no action on gases. 0.252 – 0.100 microns — This region of the uv is so little penetrating that air, as soon as the radiations of 0.185 are reached, is as opaque to it at a thickness of 2 cm as metal. A glass plate 0.1 mm thick stops this extreme uv absolutely. The dissociating power of this region is much greater than that of the other parts of the spectrum. Starting from 0.185 microns, it dissociates not only all solid bodies, metals, wood, etc., but also the gases of the air on which the preceding region of the spectrum had no action. To sum up, the more we advance into the ultraviolet, the shorter the wavelength of the radiations become, the less penetration these radiations have; but their dissociating action on matter shows itself more and more energetically. At the extremity of the spectrum all bodies are dissociated, including gases, on which the other parts of the spectrum have no action. The dissociating action of the various luminous radiation is therefore in inverse ratio to their penetration (1). The law thus formulated was quite unforeseen previous to my researches. All earlier observations seemed to show that the rays at the ultraviolet end of the spectrum possessed so slight an energy as to be almost inappreciable by the most delicate thermometers. It is, however, these radiations which most quickly dissociate the most rigid bodies, such as steel, for example. The idea that radioactivity is due to chemical reactions led me to search for the means of rendering artificially radioactive bodies which are not so. In this case we are quite certain that the presence of radium, uranium, or other similar substance counts for nothing in the radioactivity. It will be seen later on that various chemical reactions, such as hydration, can produce this radioactivity. I shall now show that bodies presenting only traces of radioactivity under the influence of light, such as mercury, can, on the other hand, become extremely radioactive. It is sufficient to add to this metal a 1/1000 [1/5000 ??] — the text is illegible ] its weight in tin, a body which is no more radioactive under the influence of ordinary light than mercury. With this proportion of tin, mercury is sensitive only to the solar ultraviolet from 0.360 microns to 0.296 microns; but if the proportion of tin be increased to 1%, the mercury is dissociated by most of the rays of the visible spectrum. It was interesting to compare the radioactivity artificially given to a body with that of spontaneously radioactive bodies such as thorium and uranium. The experiment being very important, I will simplify it to such a degree that it can be repeated easily at a lecture. The first thing to determine is the degree of dissociation of a body by light, and then to compare it with that of a spontaneously radioactive substance — a salt of uranium, for instance. We shall see that the dissociation provoked by light is much more important. A strip of tin is taken, 10 cm square and 2 cm thick. Its border are fastened by means of four narrow bands of gummed paper to a cardboard screen of the same size, and the whole is plunged for 24 hours into a bath of mercury, wiping off from time to time the layer of oxide formed on the surface. The strip thus prepared, which the cardboard prevents from breaking, will indefinitely retain its radioactivity under the influence of light so long as its surface in very slightly wiped with the finger from time to time. This done, the experiment is arranged as indicated in Figure 45. The electroscope is inductively charged by an ebonite rod; its charge is, in consequence, positive. By arranging the strip of tin so that the sun may strike its surface, it will be noticed that the gold leaves draw together in a few seconds. With a diffused light, the discharge still takes place, but more slowly. Uranium nitrate is pounded in some bronzing varnish, and spread on a cardboard screen of exactly the same size as the strip used in the preceding experiment (10 cm x 10 cm). 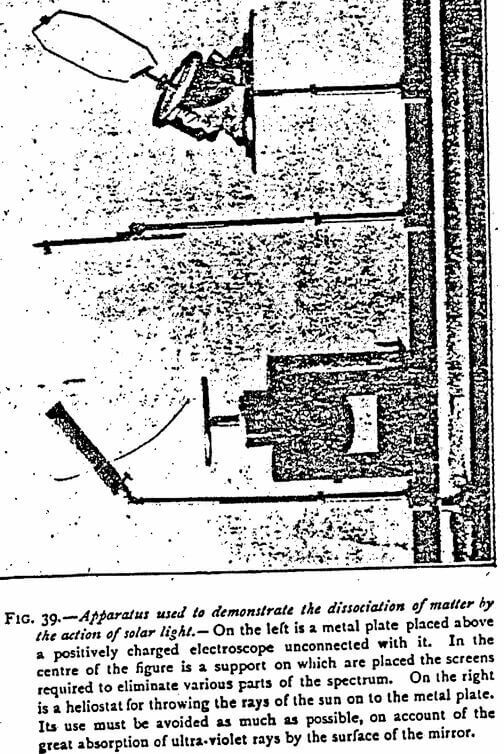 If this screen be arranged, and the electroscope charged as previously indicated, (Figure 45), a discharge of about 6 degrees in 60 seconds will be noted. 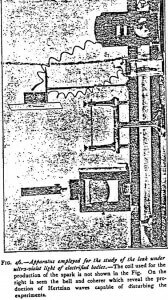 By operating in the sun with a mirror of amalgamated tin placed at exactly the same distance from the electroscope, it was shown that this latter discharged itself at the rate of 40° in 10 seconds. It is therefore seen that artificial radioactivity given to a metal by light may be 40 times greater than the spontaneous radioactivity possessed by salts of uranium. With thorium oxide, approximate figures are obtained. If we suppose, with Rutherford, that 1 gram of uranium emits 70,000 particles/ second, it follows that metals, which under the dissociating influence of light have an activity four times as great, would emit, surfaces being equal, 3,000,000 particles/second. If feeble chemical reactions, such as a simple hydration, can, as we shall see later, provoke the dissociation of matter, it is conceivable that the phenomena of combustion which constitute intense chemical reactions must realize the maximum of dissociation. 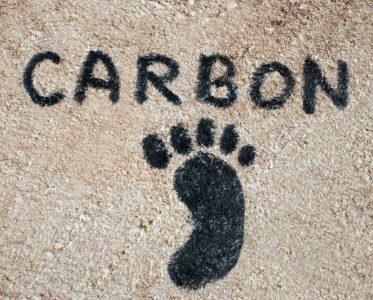 This is, in fact, what is observed in the gases of flames, and has led to the supposition that incandescent bodies give forth into the air emissions of the same family as the cathode rays. For at least a century it has been known that flames discharged electrified bodies, but no pains whatever were taken to search for the causes of this phenomenon, although it was one of primary importance. The first precise researches on this subject are due to Branly. It was he who pointed out that the active parts of flames are the gases emitted by them. He also studied the influence of temperature on the nature of the discharge. Using as a source of radiation a platinum wire made more or less red hot by an electric current, he noted that at a dark red the negative discharge was much higher than the positive discharge, while at a bright red heat the two discharges were equalized, which would seem to prove that at different temperatures ions are formed charged with different electricities. Figures 47 and 48 show modes of very easily proving the emission, during combustion, of particles with the power of rendering air a conductor of electricity. 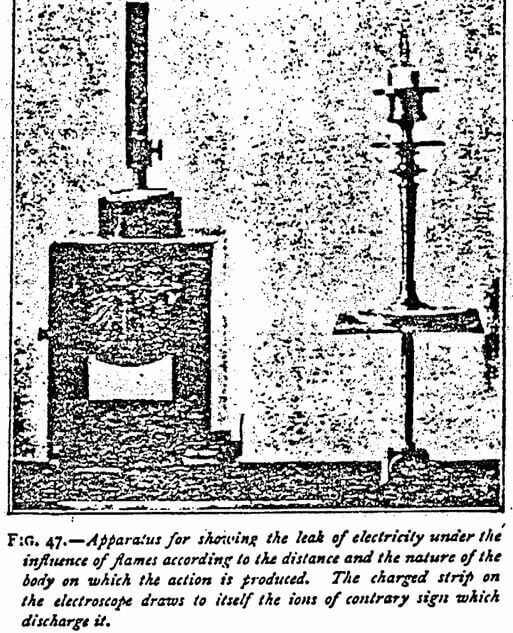 With a flame placed at 10 cm from the electroscope (Figure 47) a very rapid discharge (60 degrees in 30″) is obtained). 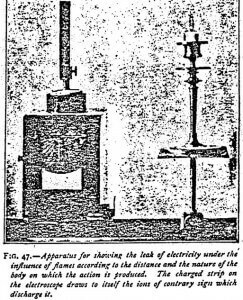 With an ordinary candle in a closed lantern with an elbowed chimney placed at 13 cm from the electroscope (Figure 48) the discharge gives 18 degrees in 30″. At 20 cm it falls to 4 degrees. The extreme diffusion of the ions in the air explains these differences.